ALL-NEW Transportation & Traffic Category Pack for Little Reader! - . :Early Learning Community:. BrillKids Forum > BrillKids Announcements > ALL-NEW Transportation & Traffic Category Pack for Little Reader! 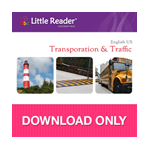 ALL-NEW Transportation & Traffic Category Pack for Little Reader! Sent last August 12, 2014 | Return To BrillKids! (Requires Little Reader PRO.) Rev up your child's Little Reader library with our exciting new category pack - Transportation and Traffic! This Little Reader Category Pack contains several new categories that will teach your child about different modes of transportation and the things she can see while traveling. We've covered everything from small and big land vehicles to water and air transportation, plus several street signs and things your child will likely see on the road! 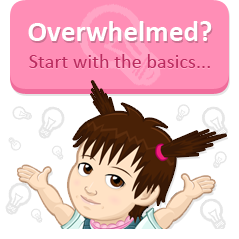 WORDS ARE PACKED WITH PICTURES, VIDEOS & ANIMATIONS! This Little Reader Category Pack contains 101 words split across 10 lesson categories, and includes 501 hi-resolution pictures, 884 voice recordings, and 99 videos and animations! * Transportation 3, 4 and 5 are continuations of categories from the Little Reader English Curriculum. 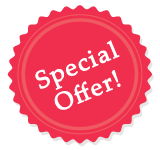 SPECIAL OFFER - LIMITED TIME ONLY! INTRODUCTORY OFFER VALID ONLY UNTIL AUGUST 19, 2014. Visit the BrillKids Online Shop and get your Transportation and Traffic Category Pack at the special introductory discounted price of 10% off TODAY! This special introductory price discount is available only until AUGUST 19, 2014. Little Reader PRO is required to use this product. Software and Category Packs are sold separately. Re: ALL-NEW Transportation & Traffic Category Pack for Little Reader! Este pack lo puedo adquirir a traves de mentelista.com?? Es que cuando pincho en el enlace, ese pack no me aparece. Solo tengo la opción de "Cosas de la casa" y "Animales y sus hogares"
Hola Natadan! El Transporte Categoría Pack es todavía muy nueva, por lo que puede escribir en Mentelista para preguntar sobre su disponibilidad. Tal vez ellos no han actualizado sus sitios web todavía. Sorry, it is not possible to use a LITE version of Little Reader to play back Category Packs. You will need a Little Reader which has been unlocked with a PRO license or a BASIC license in order to play them back. The topic of all new transportation and traffic category pack for a little reader. We can download this version by the different modes of transportation and the traveling facilities are getinternetprovider.com available. The pictures, videos, and animations are categorized here.